Though they live next to Tanzania’s largest national park, residents in the villages surrounding Ruaha National Park see no benefits from the presence of wildlife, particularly carnivores. And there are plenty of carnivores here: The area supports a tenth of the world’s remaining lions, one of East Africa’s four large cheetah populations and one of only six remaining viable populations of the African wild dog. With people living in such close proximity to wildlife, livestock depredation is a regular phenomenon. So are retaliatory killings of carnivores, particularly lions. 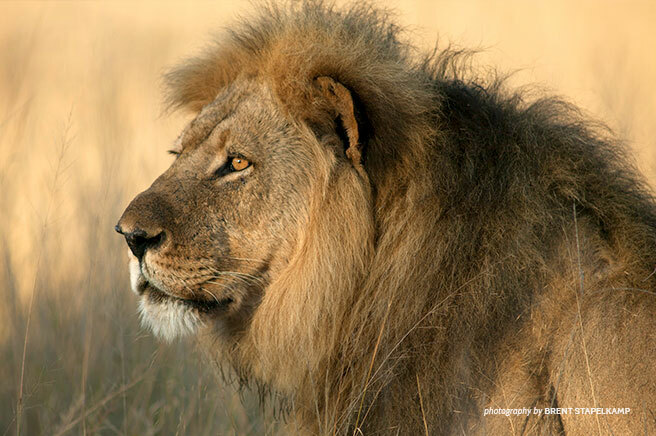 In 2011 – 2012, the rate of lion killing in this area was the highest in all of East Africa. One village reportedly killed 39 lions in 18 months. The situation was dire for carnivores and humans alike. “We needed to create tangible benefits from carnivore presence and enhance appreciation of wildlife,” says Amy Dickman. Dickman’s Ruaha Carnivore Project (RCP) has found some innovative ways to do just that, and AWF is proudly supporting its work. One of RCP’s methods is its popular DVD nights. In 2015, RCP provided eight camera traps to each of four villages surrounding the national park. Each village placed its camera traps in locations residents determined would garner the most wildlife particularly carnivore—photos. At the end of each month, RCP gathers with each village for a DVD night to present the images captured on the camera traps and discuss the ecological benefits of wildlife. Each image garners a certain number of points based on the type and number of species captured. (Extra points are rewarded for carnivore photos.) At the end of three months, the village with the greatest number of points “wins,” earning benefits that residents determine they most want for their community. The other villages still receive prizes—such as schoolbooks, health supplies or veterinary medicine—according to their rank. The competition begins anew at the end of each three-month period. The monthly DVD nights are a hit with villagers. In 2015, more than 20,000 locals had attended the DVD nights. “The local people are very excited about having control of the wildlife monitoring and seeing how the camera-trap images translate into points, and then into benefits,” Dickman reports, adding that all residents who saw the images wanted to learn more about the specific species that lived on their village land.